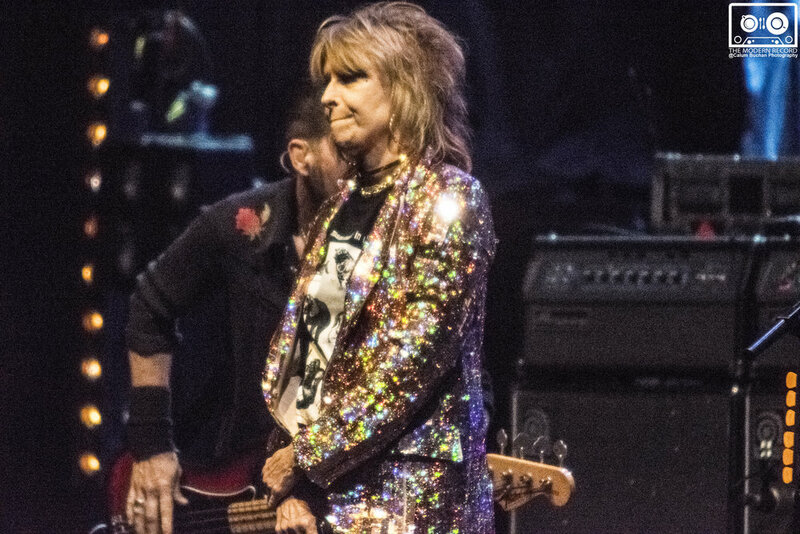 The Pretenders return to Scotland's capital after nearly thirty-years since they last performed in Edinburgh in 1987. 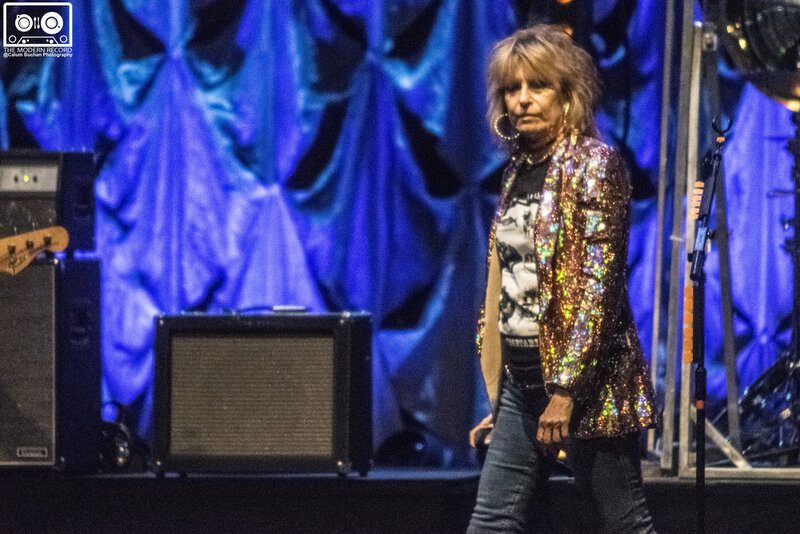 Chrissie Hynde and co returned to Scotland this year in support of their brand new album 'Alone' which was released last year. Before returning to Edinburgh to take on Usher Hall, the band performed in Glasgow on Sunday evening at Royal Concert Hall. 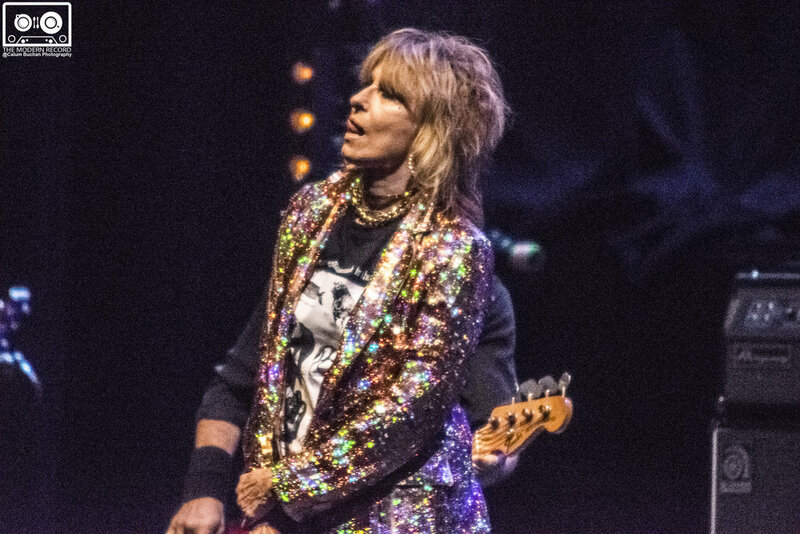 The performance at Usher Hall usually allows standing and seats at majority of their gigs but the difficulty arises when its used as more of a middle ground, as The Pretenders, where seating is set for a rock gig, almost encouraging people not be involved. Whilst each song was met with enthusiastic applause, it took until the last number of the night - a rousing rendition of Brass in Pocket - for the concert goers to get their feet: somewhat surprising this was very much a performance that already preaching the choir, with audience with an average age of 50 years. The night kicked off with Alone, the eponymous track from The Pretenders brand new album, it felt like a slight anti-climax, with the largely spoken vocals which wasn't really engaging with the crowd from the start; it was a real shame that Chrissie Hynde's vocal performance wad the highlight of the event. 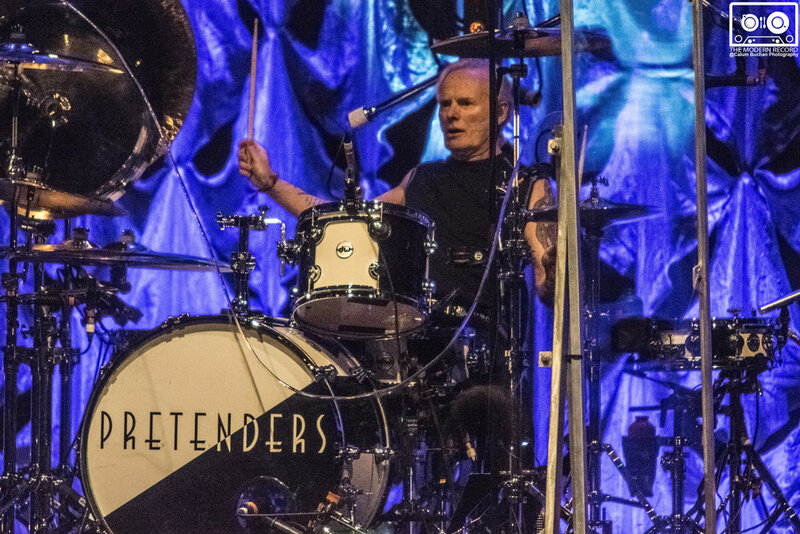 However, she didn't seem to really connect much with the audience throughout the performance, she was exchanging back and forward with the drummer 'Martin Chambers' which was really largely awkward rather than endearing or funny. 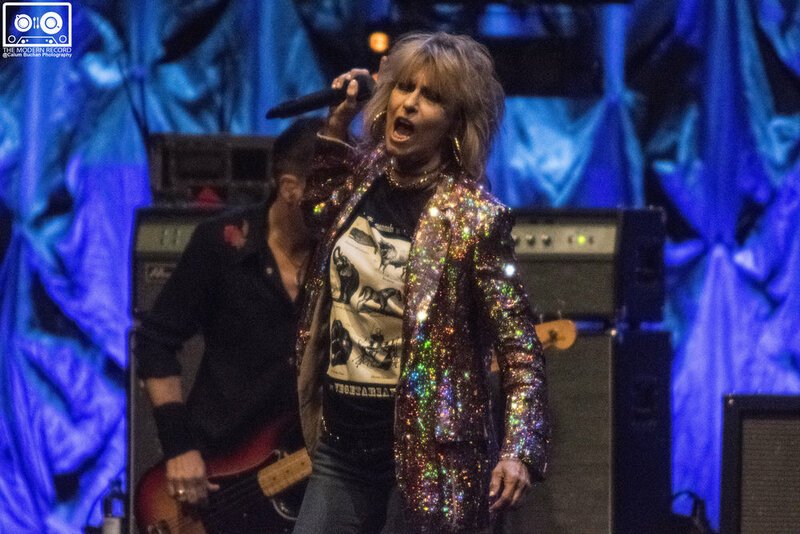 Throughout the performance with her unique female-rock voice, Hynde manages to both carry on with the heavier material with the real grit but also provides the audience with gentleness where necessary. 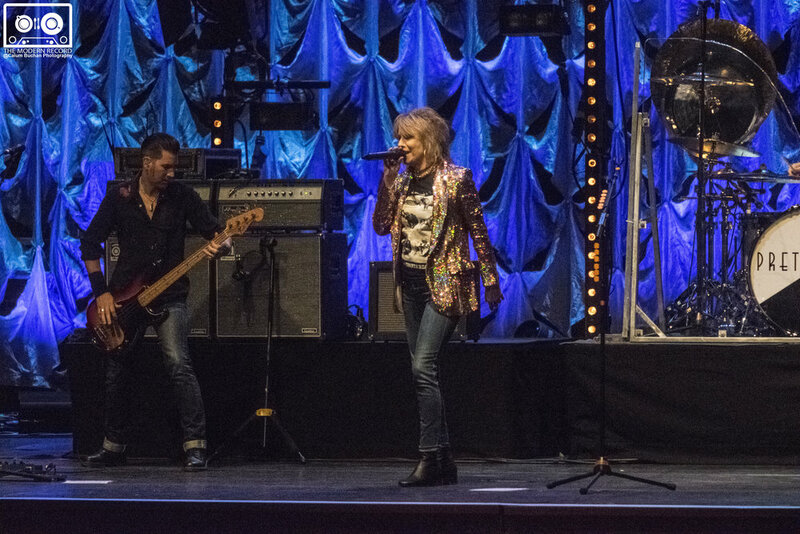 Unfortunately the performance in front of Scottish crowd was undermined throughout every track by the sound mix that placed her vocals below all the instruments on the stage. Things improved as the set progressed but wasn't the strongest performance performing material that would naturally placed the performers voice front and centre in the arrangement. Hymn to her was the ethereal and powerful with sweeping synths supporting the vocals rather than overshadowing them and similarly 'I'll Stand By You' got the reaction one would expect and it was certainly deserved. She dedicated performance to those who were hurt, or sadly passed away in recent events around the world including recent shootings in Las Vegas, USA. Let’s Get Lost kicked off the encore, again highlighting Hynde’s vocals to great effect, and a country rock masterclass in Thumbelina allowed James Walbourne to provide a stunning guitar showcase. 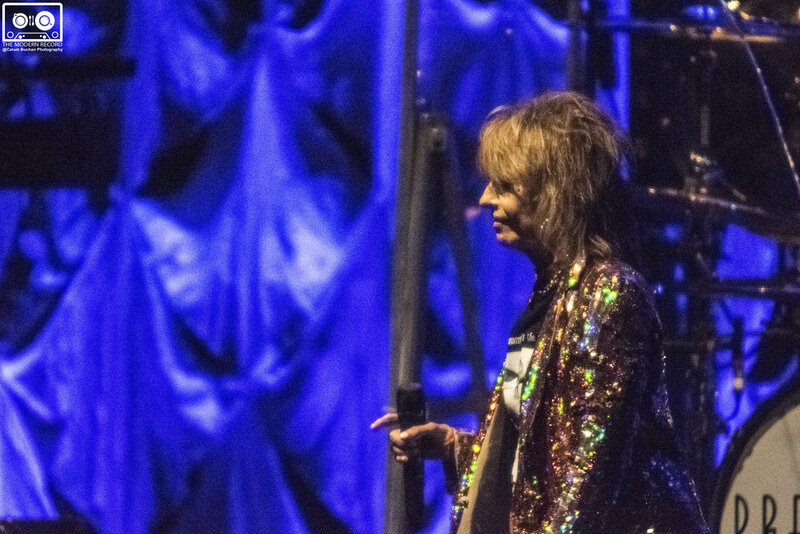 Finishing off with Brass in Pocket, Pretenders fans will no doubt have gone home happy, but overall the band had hit their stride too late.